We are pleased to announce that our first place winner and HistoryHackathon award winner for Pedagogy and Digital History is The Heretics. Their project is a short documentary about insane asylums in the 19th century. They explore the motivations of mental treatment: whether it was geared towards helping them become better or if it was a system of segregation in which people who had contrary opinions and beliefs from the social norm were separated from society. They also explore the various treatments given to patients, and focus upon the care of women, since as a power-inferior minority they represent the clearest picture of what happened behind the closed doors of these institutions. We are pleased to announce that our second place winner and HistoryHackathon award winner for Contemporary History is the project, American Development of Police Militarization. Their project is a website showcasing the militarization of the American police. November 11, 2015 / Ryan Poe / Comments Off on Team Kay: Allen Building Takeover: Inherently Violent or Necessary Reaction? We are pleased to announce that our third place winner and HistoryHackathon award winner for Public History and Archival Creativity is Team Kay. Her project is an exploration of the campus climate around the 1969 takeover of the Allen Building at Duke. Note: Kay was allowed to participate even though the rest of her team did not appear. We are pleased to announce that the team LOMA has won the 2015 HistoryHackathon’s Award for Visual History. Their project is an exploration of Israel over time based on postcards and photographs from across the twentieth century, combining geo-location and modern images to juxtapose past and present. We are pleased to announce that the team Historical Faction has won the 2015 HistoryHackathon’s Award for Originality. Their project is a series of public service announcement-style posters showing the evolution of yellow fever treatments in the 18th, 19th, and 20th centuries. October 25, 2015 / Ryan Poe / Comments Off on Food! 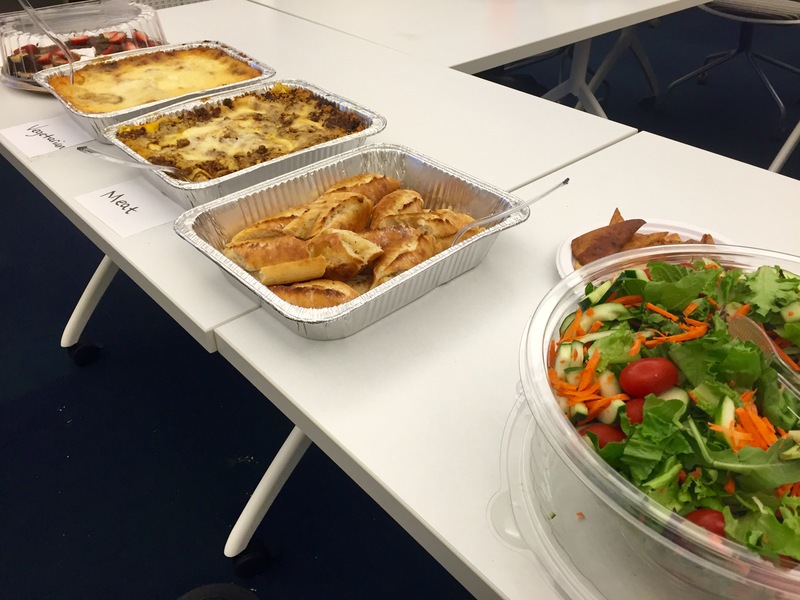 During the 2015 event we had a host of food options, from boxed lunches, to fruits and nuts, to pizza and lasagna! 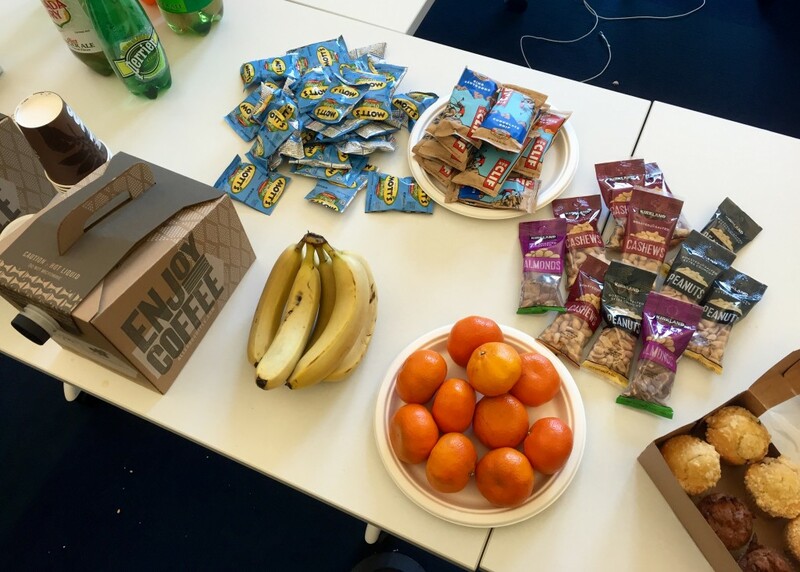 We did our best to make sure our History Hackers did not go hungry while researching and creating their projects. Carbs and greens for the final push.